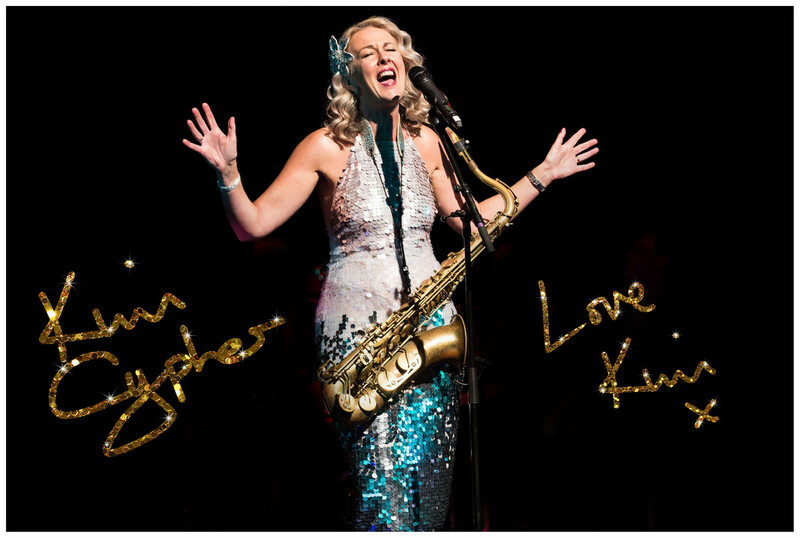 One of the UK’s most exciting female saxophonists, vocalists and composers, rising star Kim Cypher appears at Toulouse Lautrec with her brand new ‘Love Kim x’ album tour. Inspired by the funkier side of jazz and having studied alongside US saxophonist Pee Wee Ellis and internationally acclaimed jazz saxophonist Andy Sheppard. Kim’s style of performance is best described as ‘funky saxophonist meets 1940′s jazz singer’. Kim performs an eclectic mix of music spanning many genres with a quirky, jazzy twist together with her own original material, all packaged up in a captivating performance and warm stage presence. With her killer tour band featuring some of the UK’s finest musicians, Kim's debut at Toulouse Lautrec is sure to be a fabulous night to remember! Following her highly successful debut album (‘Make Believe’) tour which included sell-out shows across the UK in 2017/18, Kim has a series of prestigious jazz venues / festivals lined up for her exciting 2019 tour showcasing tracks from her new album and launching in February with special guest Pee Wee Ellis. Kim has performed in the UK and New York alongside some of the finest jazz musicians including Pee Wee Ellis, David Newton (14 times winner of best pianist in The British Jazz Awards), Clive Morton (long time sideman to Frank Sinatra and Jamie Cullum’s ex-tutor), Liane Carroll, New York guitarist B.D. Lenz, cabaret star Anita Harris to name just a few, with regular band personnel including highly acclaimed musicians Chris Cobbson, John Paul-Gard, Mike Green and husband Mike Cypher. Kim has appeared on national TV / radio and is emerging as one of the most talented and exciting saxophonists, vocalists and composers currently gracing the jazz scene. "Kim Cypher shows how it’s done at Pizza Express Soho with a killer band. A sold-out audience participation crowd rewarded with a standing ovation. Great night!"